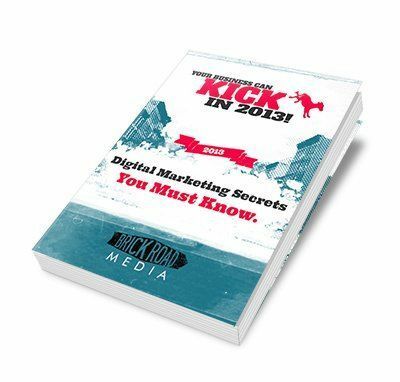 Download our latest guide: "How to Kick A-- in 2013: Digital Marketing Secrets You Must Know." Inbound marketing: The secret to a website that attracts and engages your ideal customers. What you need to know about the consumer trends that have rocked the web since social media and local search have utterly changed the way people shop - online AND offline! How to really be found by your ideal customers on search and social. How to use social media the right way to target, engage, and attract more customers. PLUS - you will learn all kinds of marketing tips and strategies for your local business via our Brick Road Media Local Marketing Newsletter!